சில நேரங்களில், உங்கள் குழந்தை வெறித்தனமாக கூச்சலிட்டால் அவரை அமைதிப்படுத்த வேண்டும். இந்த 'மேஜிக் வார்த்தைகளை ' பயன்படுத்தினால், இதுபோன்ற கூச்சலுக்கு இனி பயப்படவேண்டிய அவசியமில்லை. 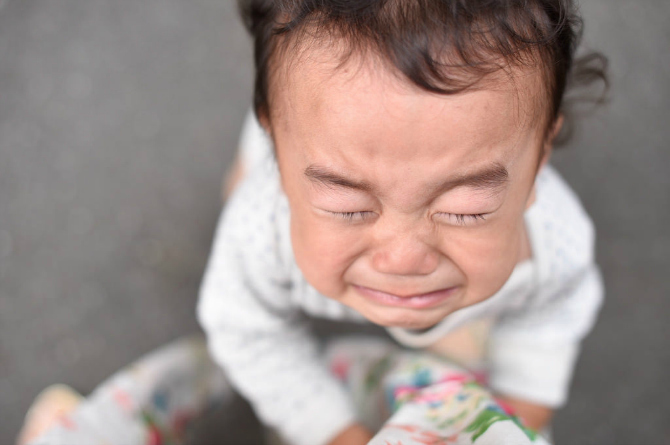 The baby's frenzy is going to be a bad pace for many parents.It is very difficult to calm the child.In most cases, you have to wait until your child is calm. But in some cases, if it's a public event or a festival, it's a little embarrassing to wait until the child is quiet. So why not use these 'magic words'? 1 I know what you want. But .. Most shouting is because the child does not get what he thinks. Even though they can directly say "no", first give them the feeling. That's why I say, "I know what you need .. But ..", they are trying to justify their sense and justify them. Particularly, when your child comes up, the sympathetic and mood are very important. Turn your child out of silence, divert their attention. Maybe food, food, or anything that can make them interesting. Fortunately, children are scattered. So you can distract them with something they want. You can stop using any of these tactics using this tactic. If you look at these symptoms, they must be careful as a precaution. Another good way to stop is to make baby laugh.As soon as the giggle kicks up, shouts or silly sounds, they can easily turn their attention away. Children can easily smile so they can easily twist their attention by moisture. Sometimes, you can take your baby out and relax. If they go out and do not use it to lessen it, they will see and hear many things. Sometimes you have a baby to calm your child! Before you try to justify or talk, a kind of a hug can you give? Warm and child will perform many miracles.You and your child will give peace and peace.But the children are a little annoying, keep them up.Maybe, they are looking for this queue!